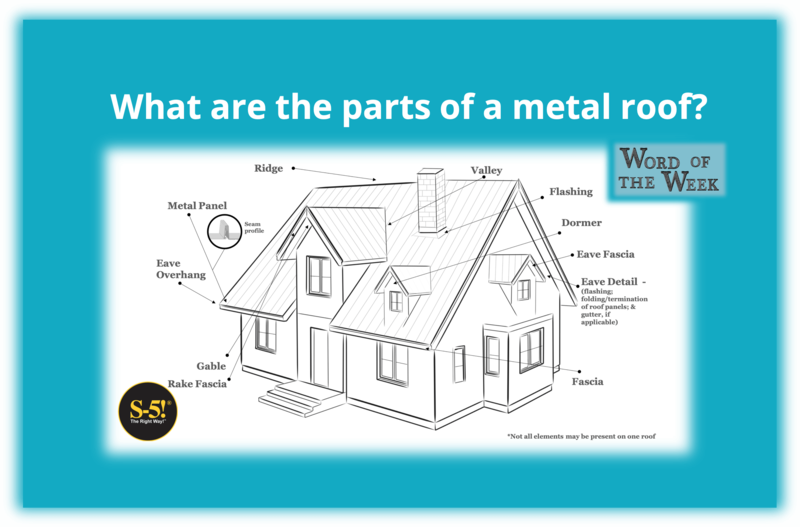 Word of the Week: What are the Parts of a Metal Roof? SENTENCE: // A dormer is a structural projection from the main roof. It is usually gabled and typically has a window. The word dormer refers to the whole projection, not just the window. When referring specifically to the window itself, it would be called a “dormer window”. It comes from the Latin word dormitorium, which means “sleeping room”. But what about everything else that makes up a metal roof? From flashing, ridges, to valleys and eaves. Where are all these on a roof and what is their purpose? Read on as we deconstruct the rest of the metal roof.